Place all ingredients in the bowl of a food processor and chop, stopping to scrape down the sides of the bowl, until the mixture becomes a coarse paste. This should take about 1 to 2 minutes in total. Transfer to a bowl and serve with crusty bread (or pizza bianca)! 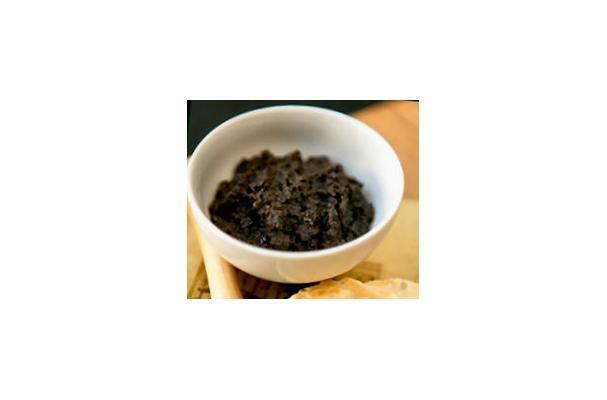 This dish is called “poor man’s caviar” because of its color and texture. This olive spread is good alone on crusty bread or as a condiment on sandwiches.